Get DR.J Projector (Latest Upgraded), 2400LUX Mini Projector with 176″ Projection Size, 1080P Supported Full HD Video Projector, Compatible with HDMI, VGA, AV, USB for Home Theater, Movie, Video Game, Party, Outdoor activities and More, today for $79.19, list price $129.99, save $48.80 – 38% off. Hurry, this price will not last for long! 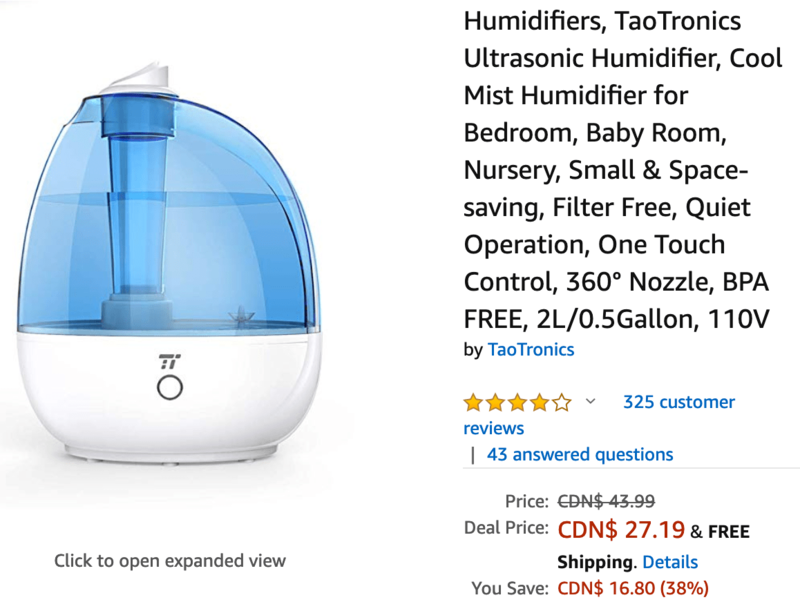 Get Humidifiers, TaoTronics Ultrasonic Humidifier, Cool Mist Humidifier for Bedroom, Baby Room, Nursery, Small & Space-saving, Filter Free, Quiet Operation, One Touch Control, 360° Nozzle, BPA FREE, 2L/0.5Gallon, 110V, today for $27.19, list price $43.99, save $16.80 – 38% off.